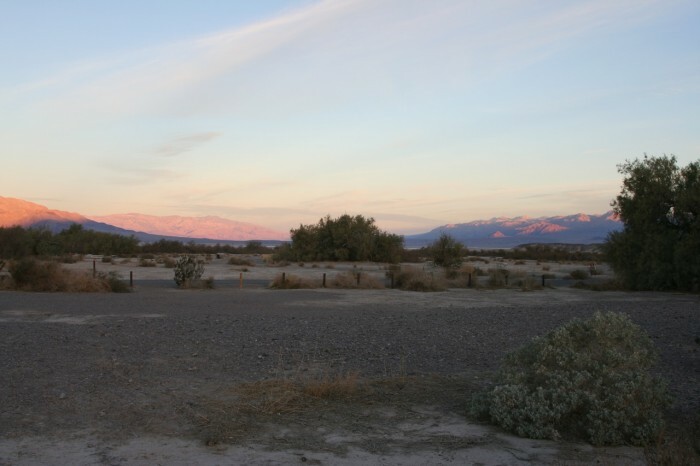 One-half mile north of furnace creek visitor center on California state highway 190. 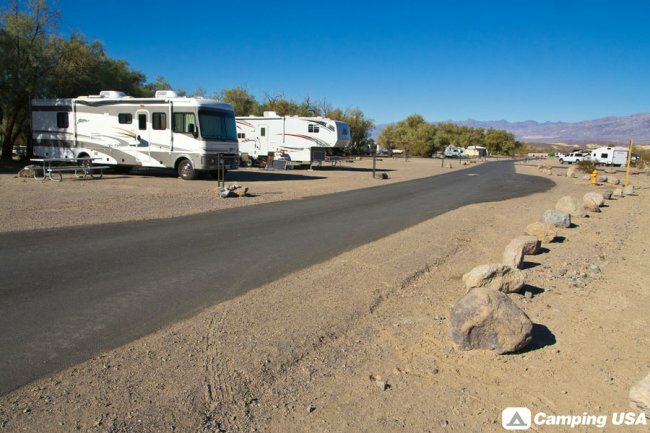 RVs: The National Park Service campgrounds do not provide hookups for recreational vehicles. 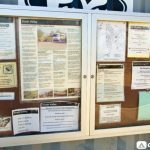 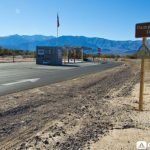 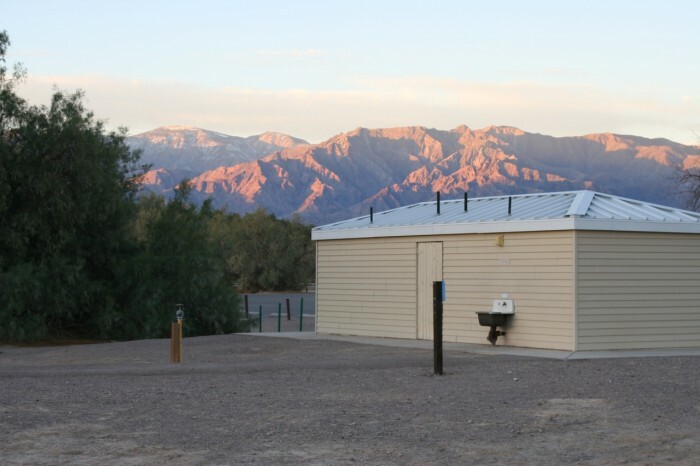 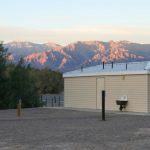 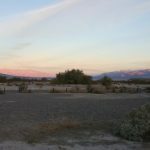 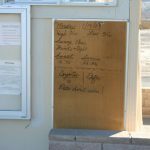 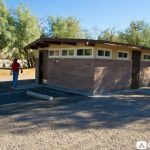 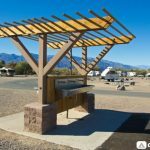 RV hookups are only available at the concession-run Stovepipe Wells RV Park and the privately owned Panamint Springs resort. 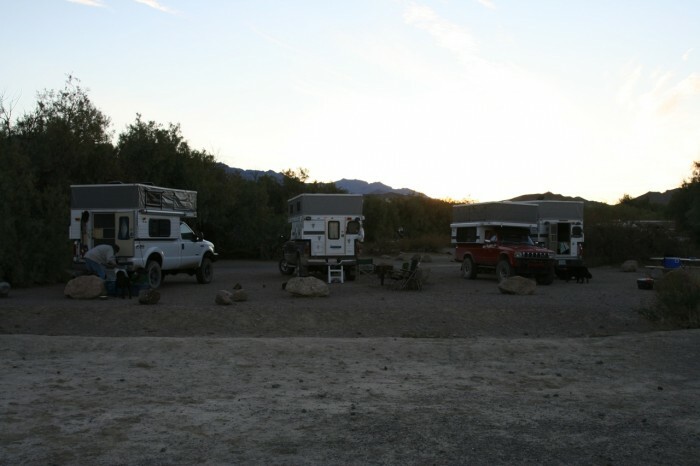 Campsites are limited to no more than eight people and two vehicles or one recreational vehicle per site. 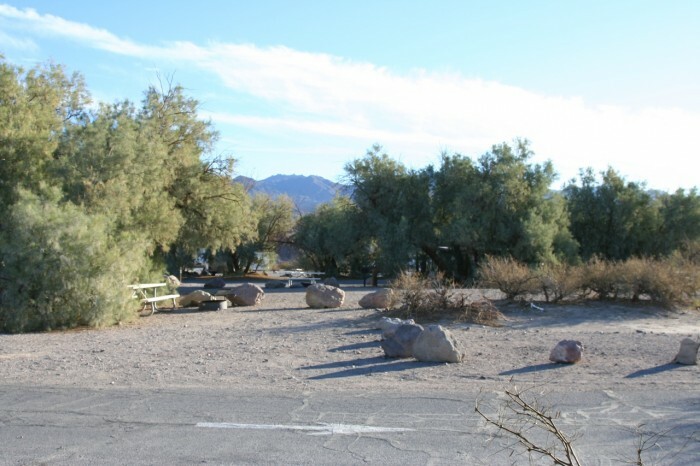 Larger groups wishing to camp together can reserve the group sites at the Furnace Creek Campground. 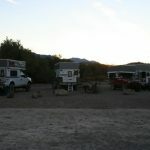 The two group sites are limited to a maximum of 40 people and 10 vehicles each. 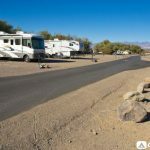 No recreational vehicles may be parked at the group sites. 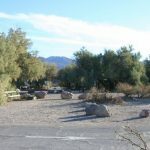 Campfires: All vegetation in the park is protected. 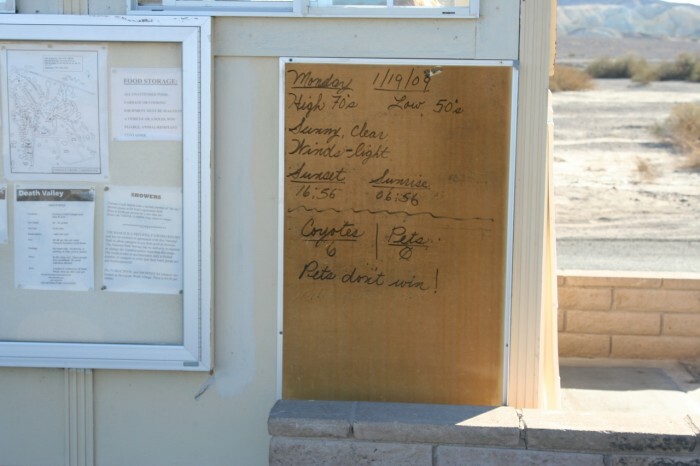 Firewood and charcoal are available at the Furnace Creek General Store, or you can bring your own supply. 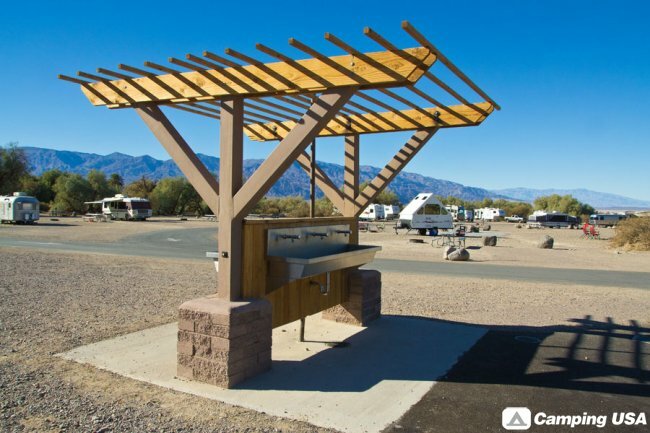 Fire pits or grates are provided at Furnace Creek, Texas Spring, and most of our other campgrounds. 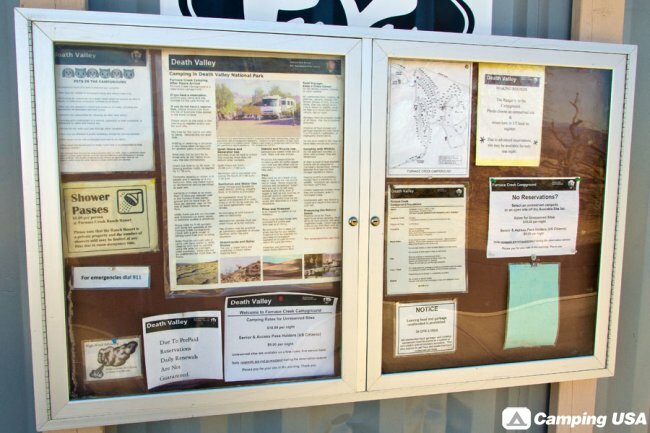 See the campground table above for specifics. 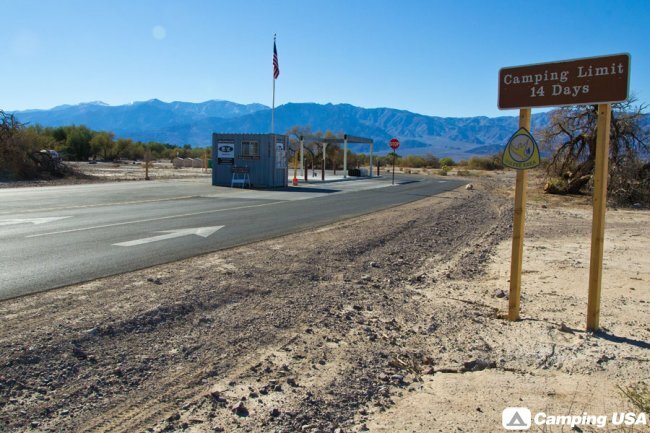 Pets: There is a maximum limit of 4 pets per campsite and pets must be kept on a leash no longer than six feet at all times. 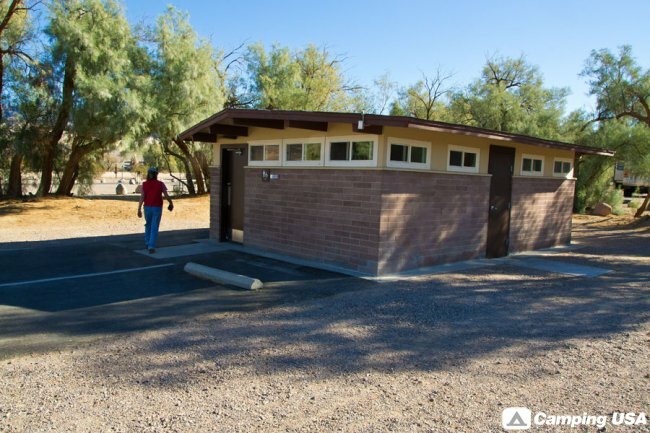 Pet feces in campgrounds, campsites, lawns, walkways, access roads, and around public buildings must be disposed of in a trash bin by the person responsible for the pet.